There are days where I want to getaway with the family and travel to a tropical destination and enjoy the beach, lay in the sun, and enjoy a nice refreshing drink. Anyone else? Since working out for almost a month and a half I have been more health cautious of what I put into my body. 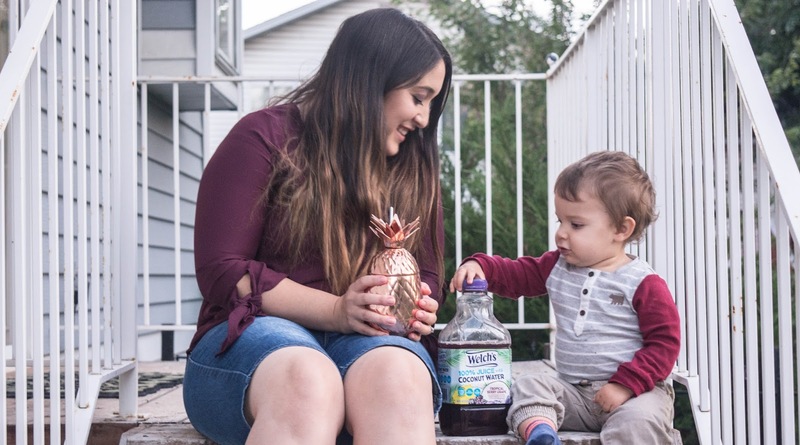 I've come to remember that it's so important to know what you put into your body, so I'm making sure that what I'm drinking is keeping me and my little family hydrated and filled with nutritious ingredients! You've all heard of Welch's right, and have probably even had it in your fridge at moment. Well did you know that Welch's drinks are made with 100% juice, that includes the seeds, skin, everything! It's made right here in the USA and the with over 900 farmers, they carefully grow, make, and take care of what they grow so that what you drink is uniquely yummy and meets your taste buds needs. So it will be even more exciting when I tell you that they just released a brand new product that is extremely delicious! Say hello to to Welch's Juice with Coconut water! Now before you think twice, keep reading, I'll tell you why this is the new IT drink to try for several reasons! If you you've been skeptical about coconut water, don't worry I have been too. I always thought it would taste gross and to be honest I didn't educate myself on the health benefits it has. 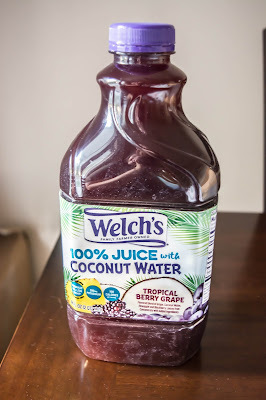 But let me tell you that Welch's New Juice with Coconut Water tastes amazing! 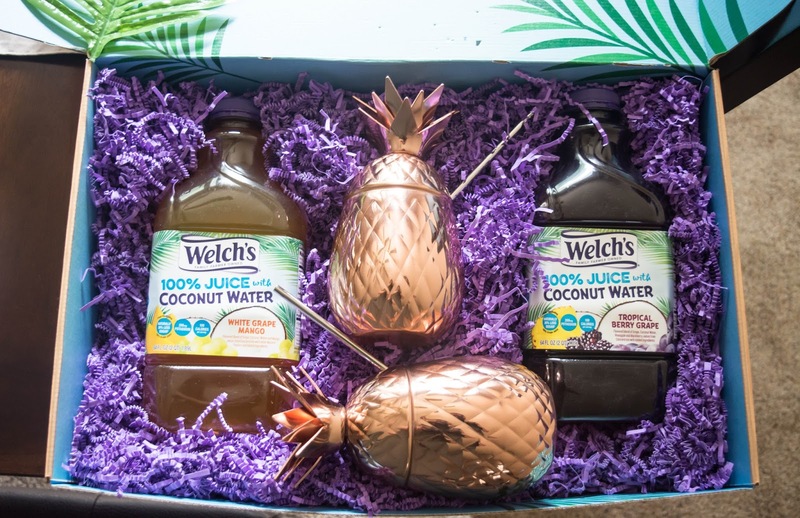 Welch's has 30% less sugar and coconut water which has naturally less sugar so can you imagen how healthy that drink is?! 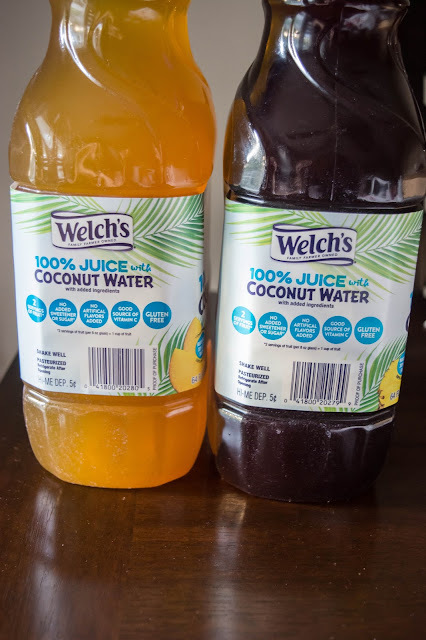 Since I was little I have always been used to watering down my drink because the drink itself was very sugary and tasted way too sweet; and I love that I don't have to do this what Welch's Juice with Coconut Water. 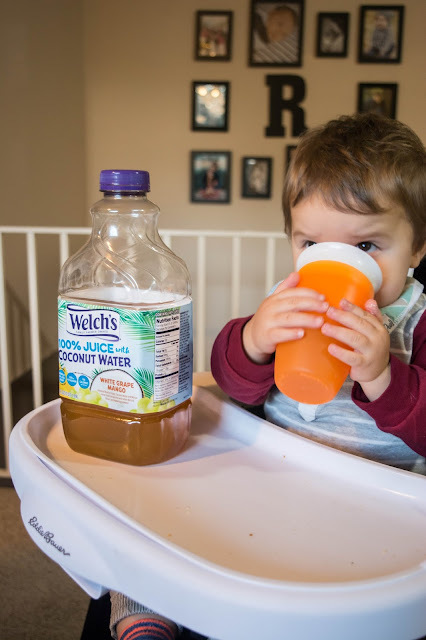 So to my momma's out theres no need to water down your child's drink, instead water up on their new drink with Coconut water! I loved trying their Tropical Berry Grape and White Grape Mango, which made me feel like I was in paradise! 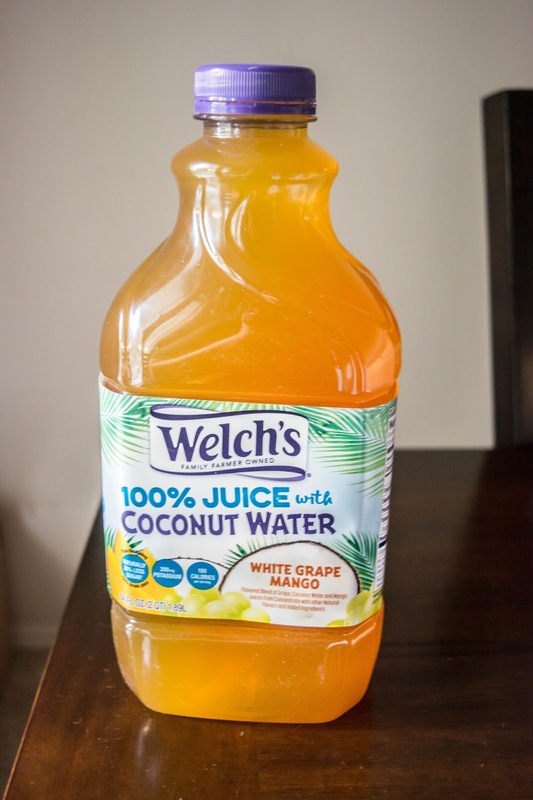 Guys this drink not only has 30% less sugar but also has no artificial sweetener, 100 calories per serving, no artificial flavors added, and has 2 servings of fruit in every 8oz glass.The nutritiousness value and delicious taste in Welch's Juice with Coconut Water is sold in stores nationwide and is something you definitely want to try! I love including it in mason's meals and into our lifestyle! Mmmmm this sounds so delicious and refreshing!